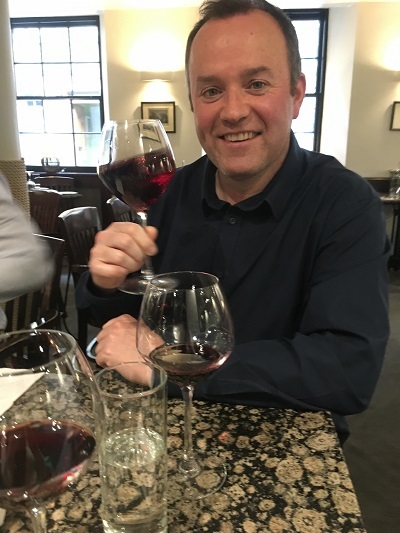 The day I met Scottish winemaker Andy Smith in his hometown of Edinburgh to taste his latest vintage, the news from his adopted home in California was not so good. The Russian River, which flows through Sonoma wine region named after Russian explorers who came looking for beaver pelts in early C19, had burst its banks for the first time in 20 years. Torrential downpours had left low-lying vineyards, whole wine villages, businesses, homes and cars underwater. Smith’s own vineyards were unscathed, but some of his neighbour’s vines were badly flooded. “Floods, mudslides, heat spikes and wildfires are just things we are having to learn to deal with in California as the climate becomes more extreme”, says Smith. “But most of the time living in low-key pastoral Sonoma running an artisan winery is like living in Eden”, he says. Smith’s route to his Californian ‘Eden’ from Scotland is a lesson in perseverance, enterprise and ambition. Born and schooled in Edinburgh, Smith was a British swimming champion and swam for Scotland in the Commonwealth Games. He studied publishing at Napier, but it was a part-time job stacking cases in Oddbins which sparked his interest in a wine career. “I first visited California in 1992 and fell in love with the place”, says Smith. “I loved the feel, atmosphere and people – the wine industry was quite ‘folksie’ and less corporate then – it was an exciting innovative environment. I wanted to work there, but it was impossible to get a visa. So I headed to New Zealand and Australia instead, where I gained up valuable vineyard experience”, he says. 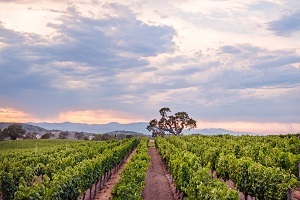 In the late 1990’s, armed with a winemaking degree from prestigious Lincoln University in New Zealand and work experience at Yalumba, Matua and Dry River wineries, Smith headed back to US to try his luck again. 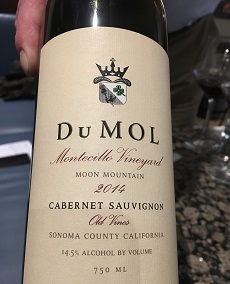 He picked up work with Ted Lemon at Littorai winery and at the newly-formed DuMOL winery (founded 1995) who had employed renowned winemaking consultant Paul Hobbs. Hobbs employed Smith, with his Kiwi experience, to help make Pinot Noir and Chardonnay – and when the Cabernet Sauvignon winemaker left, Smith ended up making all the wines for DuMOL. By 2001 he had been promoted to their full-time winemaker. 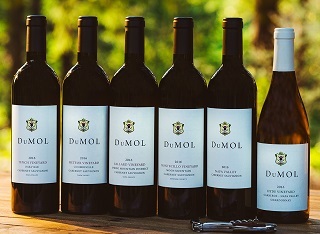 Jump forward 18 years, Smith is now winemaker, viticulturist and partner of multi-million dollar DuMOL winery based in Windsor, Sonoma now backed by a leading financial entrepreneur. 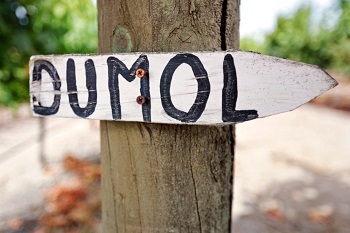 DuMOL (the name comes from the previous winemaker’s children Duncan and Molly) is unusual in that it owns 25 hectares of vineyards in the Green Valley subzone of Russian River which supplies 50% of its needs – the rest comes from leased vineyards or bought-in fruit; so he farms small select parcels across more than two dozen vineyard sites which suits Smith with his viticultural background. Like many Sonoma winemakers since the 1990’s, Smith has been pushing the boundaries with vineyards nearer the coast to achieve elegance and refinement – his closest are 4 miles from the Pacific. What sets Smith apart from his winemaking peers is his vineyard experience and his relentless experimentation to achieve perfection. “My current focus is experimenting with high density planting up to 9,000 vines per hectare compared to the usual 2,500 in California”, he says. “This gives wines with savoury and botanical notes as in Estate Chardonnay, but it is the soil which really dictates the character. Sandstone gives the roots great energy”, he says. You can see this even in his less-densely planted Charles Heintz Vineyard’s richly-textured Isobel Chardonnay. He also uses ‘massal selection’ when planting, rather than buying in vines from nurseries. This means that cuttings are taken from wood from vines planted before clonal planting, which Smith feels gives clonal variation and more complex wines. “Californian wines still have great depth and extract – but their immediacy of texture really appeals to the American palate who like to drink young wines”, he says. 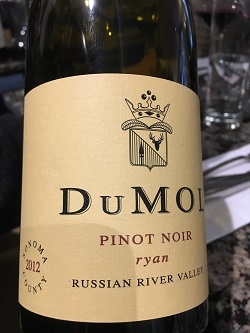 Whilst Smith makes DuMOL wines to be drunk in their youth for his domestic market, what our tasting demonstrated was that a few years bottle maturation in a cool Scottish cellar can develop his Californian wines into real beauties. 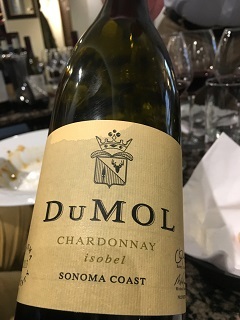 Good example of high density planted Chardonnay; citric tightness, minerality with savoury botanical notes rarely found in Californian Chardonnays. Evolved mealy nose and rich buttery notes with voluptuous fruit palate; this barrel fermented Chardonnay tastes like a very ripe Meursault. Dense rich oily and intense, it will develop further in 10 years+. Named after Smith’s daughter Isobel. Sweet ripe black cherry and kirsch notes with hints of licquorice and farmyard, soft silky generous fruit palate with long unctuous length: from 15 months maturation in French oak. A step up to his single vineyard Pinot Noir, this comes from the magical 2012 vintage. A mature beauty with gorgeous mulberry and cherry aromas, spicy, earthy and smoky. Very developed, but shows Smith’s wonderful lightness of touch. 2009 was Sonoma’s best vintage for Syrah; expansive open bouquet, herbal undertones, spicy peppery meaty with a grippy finish.